i'm here because i found an issue in some pieces present in the lego digital designer palette. Some pieces have non uniform measures and this imply that these pieces cannot be correctly mounted upside-down. Note that in the real pieces these problems don't occour. In the first image the distance between green and red pieces should have been of 1/6 of lego units, that corresponds to the distance indicated by the grey piece. But, as you can see, this distance is slightly less and this doesn't allow to create a perfect match between upper and lower pieces. In the second image the height of the red and green pieces should be the same but in LLD they differ slightly, as you can see from the small step between the upper surfaces of both red and green pieces. I don't know why LDD presents this error, but it affects a lot the techniques we can use while creating a model. If someone can help me find a solution i would be so thankful. 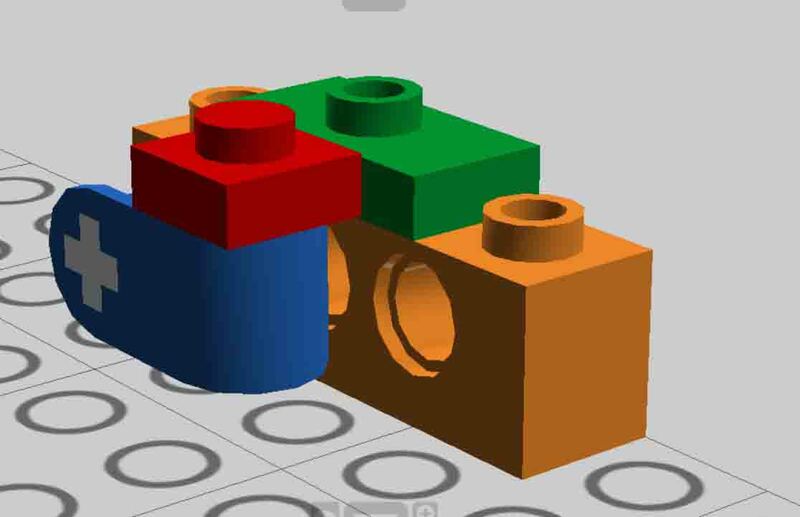 In the second image the parts actually shouldn't be the same height — Jamie Berard mentioned in a presentation called "Stressing the Elements" that the proportions of Technic bricks are fudged ever-so-slightly to accommodate the anti-stud underneath the Technic hole. In other words, the space between the centerpoint of the hole and the top of the brick is not quite half a module. On the other hand, the thickness of the blue connector in your picture is a full module, so its stud is raised slightly higher than the studs of the Technic brick. The discrepancy in thickness in the first pic does seem to be a genuine error, though.